MASTER Hideyuki Ashihara was born in Hiroshima Prefecture on December 5th 1944. He was raised by his grandparents in a small village called Nomicho. At the age of 10, he began training in the art of Kendo. In 1961, after moving to Tokyo to pursue work, Kancho began his formal training of Karate at the Kyokushinkai Honbu (headquarters) Dojo. The young Ashihara took to karate like a fish to water and after several years of intensive training, he was graded to Shodan on March 26th 1964 at the age of 19. 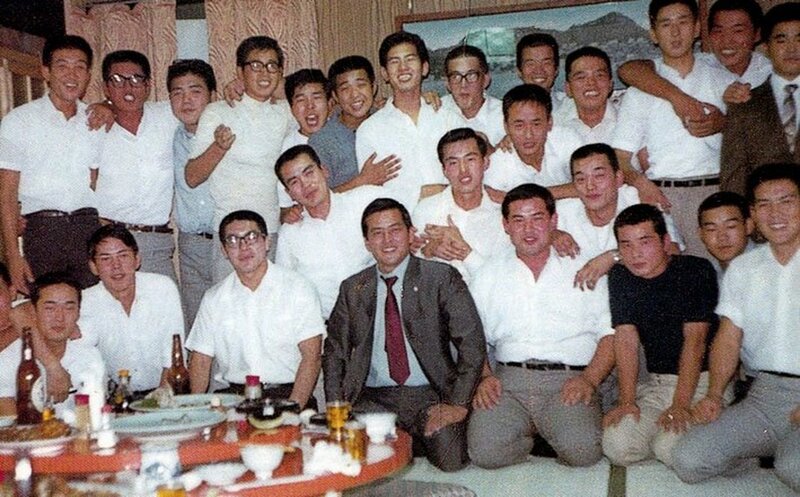 In 1966, Ashihara was given instructor status and began to teach at the Kyokushin Honbu Dojo. During his time there, he got into a fight that involved 5 thugs who had attacked him in the street. He defeated them all, but was frowned upon by the Honbu dojo after the incident attracted police attention. Kancho was suspended for 2 months and then resumed his teaching in Nomura on the island of Shikoku and later in neighbouring Yawatahama, Uwa and Uwajima. During this period, Ashihara's reputation as an instructor and fighter began to circulate throughout Japan. His uncanny ability to avoid oncoming attacks by moving to the blind-spot or back of his opponents made him a much sought after Sensei. Kancho began to formulate a style of karate that he based on a concept called sabaki and in September 1978, he left the Kyokushin organization to pursue and develop his own style of karate. In September 1980, Kancho Hideyuki Ashihara founded the New International Karate Organization, Ashihara Kaikan. The Honbu dojo is still located in Matsuyama city on the island of Shikoku. The style of karate that Ashihara developed has been acclaimed as the most practical; he taught at several police academies and brought on a number of Japanese karate champions. Because of his popularity, Ashihara's image was featured as a character in a mainstream Japanese comic series. Ashihara was highly skilled in throwing kama (sickles) and knives and often performed this at demonstrations. To develop his lighting speed, he would stand in front of a window with the light shining in. He would watch his shadow while snapping out punches. Many people said his punches were so fast that his shadow did not move, but they could hear the snap of his gi. Another of his training regimes involved standing on his head in a train for 15 minutes. The jerking movement of the train puts tremendous pressure on his neck muscles which he said he wanted to make so strong that he could be never knocked out. Some of Kancho Ashihara's former students are now highly respected karateka in various styles. Amongst them are Kazuyoshi Ishii, founder of Seidokaikan Karate and the K-1 organization, Joko Ninomiya, founder of Enshin Karate and Makoto Hirohara, founder of Shintaiikudo. Kancho Ashihara himself will always be remembered not just as an extraordinary karateka, but also as a superb human being. He always made karate enjoyable and loved to make jokes. His jokes would often have everyone in fits of laughter. One day, during a class, he said to a student, "I'm sorry about your car accident." The student replied, "Kancho, I haven't been in an accident." Kancho Ashihara replied, "With a face like that, I thought you must have put your head through the windscreen!" Everyone broke into fits of laughter, including the student. Another time, Shihan Ninomiya recalls: "I was a brown belt at the time and in kumite practice I was constantly dropping my guard. Kancho paired up with me. I had a badly decayed molar on each side of my mouth. In a blur, Kancho stepped to my right side and punched me on the jaw with a lighting jab I didn't even see. The next time I was prepared, but Kancho moved to the left this time and punched me in the jaw on the other side. My mouth was now filled with gritty pieces. Yes, Kancho had knocked out both decayed molars!" He said, "Open wide!" and inspected the inside of my mouth and said, "You should be grateful: no shots, no gas and I didn't even make you sit in the waiting room." Such was Kancho Ashihara's humor.